Furukawa K and Okada T (2006) Tokyo Bay: Its environmental status Past, present, and future. In: Wolanski E (ed.) The Environment in Asia Pacific Harbours. Dordrecht, The Netherlands: Springer. Hazelden J and Boorman LA (2001) Soils and 'managed retreat' in south east England. Soil Use and Management 17: 150 154. Paling EI, van Keulen M, Wheeler KD, etal. 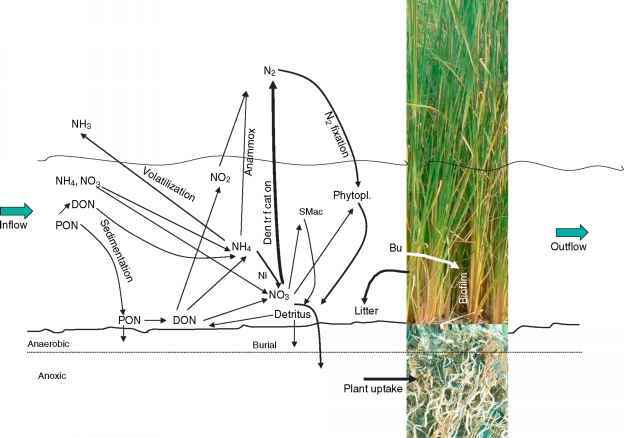 (2001) Improving mechanical seagrass transplantation. Ecological Engineering 18: 107 113. Richmond RH (2005) Recovering populations and restoring ecosystems: Restoration of coral reefs and related marine communities. In: Norse E and Crowder L (eds.) Marine Conservation Biology: The Science of Maintaining the Sea's Biodiversity. Washington, DC: Island Press. Saenger P (2002) Mangrove Ecology, Silviculture and Conservation, 376pp. Dordrech, The Netherlands: Kluwer Academic Publishers. Streever WJ (2000) Spartina alterniflora marshes on dredged material: A critical review of the ongoing debate over success. Wetlands Ecology and Management 8:295 316. Wolanski E, Boorman LA, Chicharo L, et al. (2004) Ecohydrology as a new tool for sustainable management of estuaries and coastal waters. Wetlands Ecology and Management 1: 235 276. Wolanski E, Mazda Y, Furukawa K, et al. (2001) Water circulation through mangroves and its implications for biodiversity. In: Wolanski E (ed.) Oceanographic Processes of Coral Reefs: Physical and Biological Links in the Great Barrier Reef. Boca Raton, FL: CRC Press.